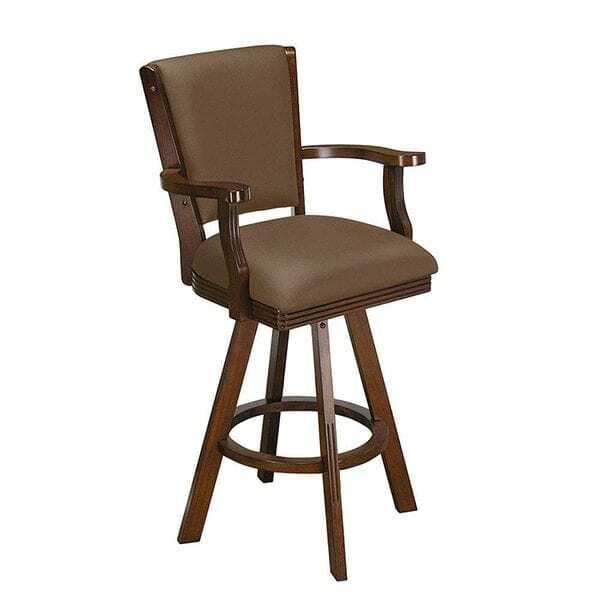 Do you already own a bar or tables and need some sturdy stools to complete your game room furniture grouping? We have durable and beautiful barstools for you at Fairview Game Rooms. This classic barstool is built to last with strong wood and durable faux black leather cushions. The seat swivels 360 degrees. 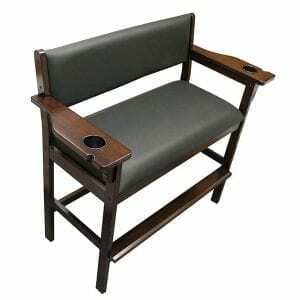 Pair with a Pub Table for a perfect game room seating area. Barstools are but one of the many game room furniture pieces we offer. 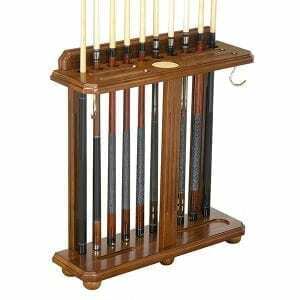 Take a look at our bars, Executive Billiard Storage Benches, pool table chairs, billiard cue racks, ball sets, Designer Home Foosball Tables and much more. You could outfit your entire gaming space with our furniture and feel good about it too, as we offer high quality furnishings that won’t need to be quickly replaced. 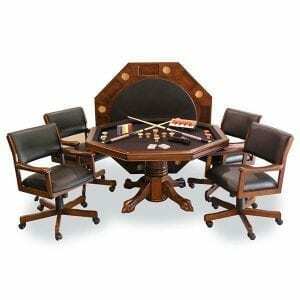 Browse our other items and see the variety of game room furniture we offer. 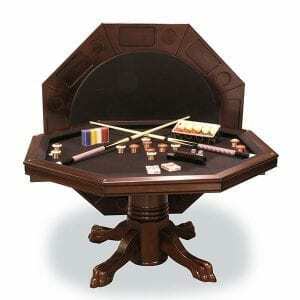 You might especially like our Combination Game Table which allow you to dine one moment and then convert the table to either a poker or a bumper pool table.